Sterling Minerals LASH Exclusive Natural Mascara is gentle and safe for sensitive eyes. The rich creamy consistency glides on smoothly without clumping or flaking or the use of any silicones, and is completely build-able on the eyelashes. Your eyelashes will feel soft, pliable and natural without a stiff plastic feel since we don't use any polyvinyls. You can create nicely defined, fuller, thicker and longer eyelashes without the mess. 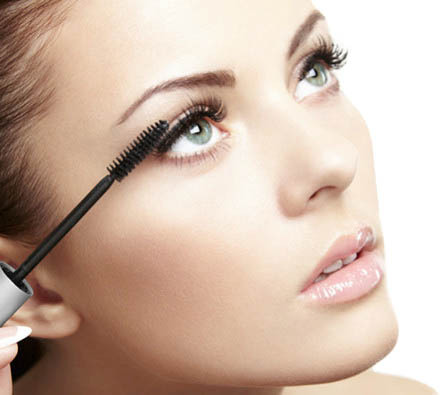 Other natural brands of mascara have fallen short in performance of lasting all day. Sterling Minerals mascara is water-resistant, and you can even wear it to bed and all the next day and still have beautiful lashes without the raccoon eyes. When ready, it is easily removed with one of our Facial Cleansers without tugging on your lashes or delicate eyelids. Enjoy wearing your new LASH Exclusive Natural Mascara. You'll see and feel the difference with the very first application!